Authorities in Quebec on a vehicle during a flood. There has been steady and consistent rain in Quebec, Canada recently and it has now resulted in the Canadian Forces being called in to help deal with the entire issue. 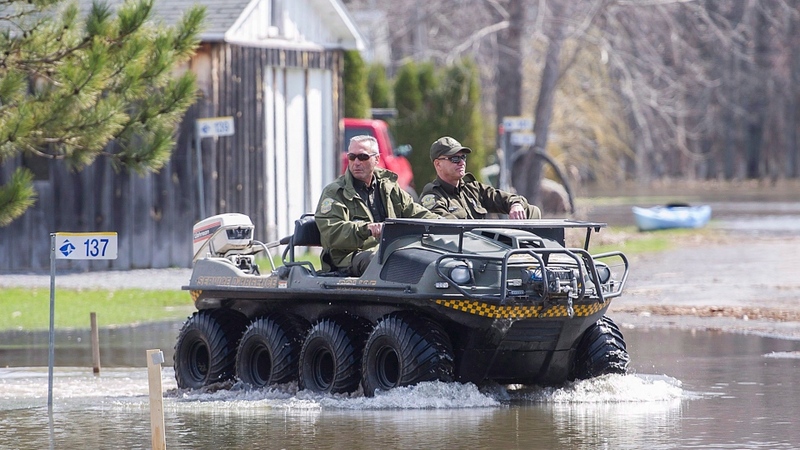 The Quebec minister of public security minister Martin Coiteux has announced that the military will be aiding the province in areas that are the hardest hit by the flooding. It is also said that the situation may only be worsening for the time being. "We are facing a situation where we are not only dealing with serious flooding, but the situation will continue to deteriorate for the next few days," Coiteux said. The military is expected to be deployed to Quebec within 24 hours. Currently, there are at least 124 municipalities that need aid because of flooding in their area. It is also worth mentioning that some residents have had to leave their homes because of the flood in their area. The regions and islands around Montreal, Mauricie, Laval, The Montérégie, Laurentians, and Lanaudiére. Many small islands such as Île Mercier and Île Verte, are now both deep in water as reports state. Environment Canada has even issued a rainfall warning for the regions as rainfall seems to be continuing both during the day and overnight. "I'm not happy to say that but I have to tell Quebecers the truth, it's going to get worse," The minister said. The Federal government’s public safety Minister Ralph Goodale mentioned that the federal government ‘s officials are working with the military to help plan the details of their mission in Quebec. Soldiers could also be distributing sandbags to help stop the flood or they may be positioning them. Sandbags are usually positioned alongside riverbanks to increase the time before the water would overflow the bank and cause flooding. In some cases, it lasts long enough until the high water levels fall. The premiere of Quebec Philippe Couillard gave his support and said that the military will help Quebecers in these difficult times. The flooding is so bad that it is being called the worst calling in years. David Heurtel, the environment minister said that Quebec has little choice and had to ask for additional help with the issue. 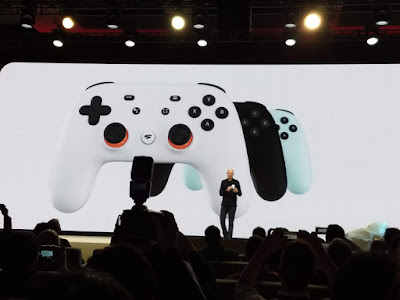 “We haven’t seen this in 55 years,” Heurtel said. It has been a hard month for Quebecers because they have seen almost consistent flooding with many days being a rainfall. 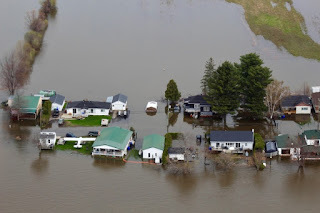 Coiteux said that the Quebec Government will provide all necessary assistance for the people that have been affected by the flood as well as all the regions that have been affected by the flood. The Quebec Government is also offering financial compensation for the people that have been affected by the flood. There will also be measures taken to protect people's homes and their goods. On Friday a total of 785 people has been forced out of their homes due to the flooding. The Prime Minister, Justin Trudeau has pledged full support by the military and funding for the issue. The government will support Quebec and any province experiencing heavy rainfall this weekend to help prevent the flooding.